The baseball player has it all money, fame, and success. But something is missing. He doesn t know what it is until he goes to the zoo and sees a walrus. What a splendid creature! Surely it could bring joy to his life. 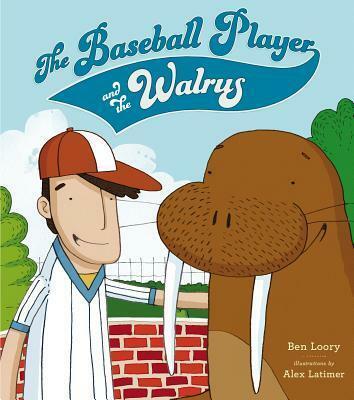 With happiness just a walrus away, the baseball player sets out to create the perfect enclosure for his new friend. He s even willing to give up his job to be with the walrus. But without a job, he won t be able to afford his new friend s care and keeping. And without the walrus, he won t be able to smile. Luckily, there s a compromise to be had and a walrus just waiting to be reunited with his resourceful friend." "The text and hand-drawn pencil illustrations are a perfect match in this story. While the story is complex, the author chooses his words wisely and the length is perfect for one-on-one sharing or a school age storytime." "School Library Journal"
"Loory builds the tale nicely with sympathetic portrayals of the hero's loneliness and the walrus' endearing traits. Young readers will find it all sweetly believable wistful and charming."" Kirkus Reviews"
Ben Loory s short stories have appeared in the"New Yorker," NPR, "ESPN the Magazine," "Glimmer Train, "and"Word Riot," and his collection of short stories, "Stories for Nighttime and Some for the Day," was published by Penguin Books. He also works as a screenwriter and lives in Los Angeles, California. Alex Latimer is a writer and illustrator based in Cape Town, South Africa."